What lives in our local park or garden? 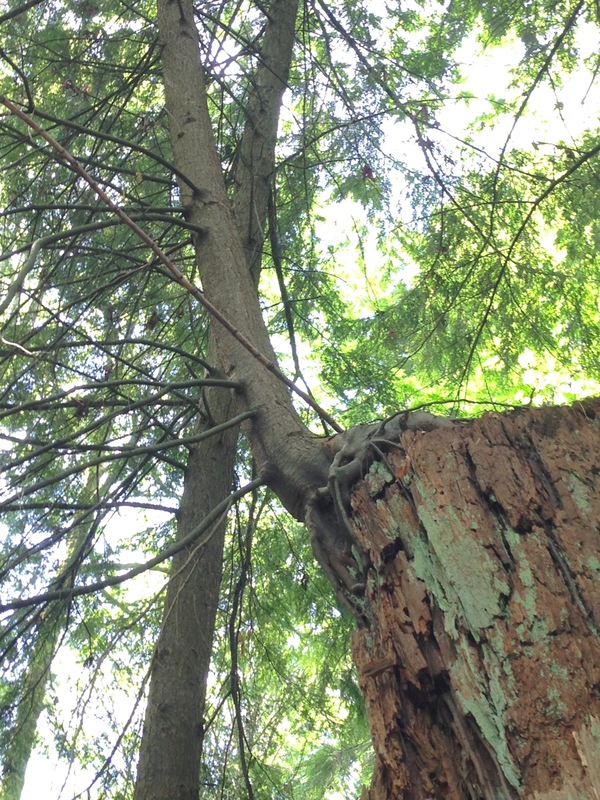 Introduction: nurse logs were formed when a tree fell over, or was cut by early loggers. As the log starts to decompose it provides food and a habitat for many animals and plants. 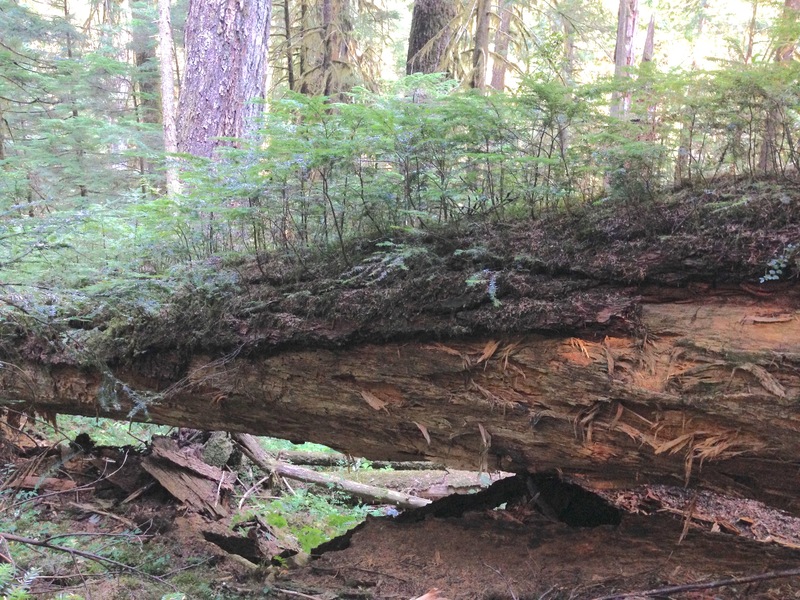 Although the soil in these forests is poor, many rotting logs provide the nutrients needed for new life to grow. There are two nurse logs close by each other in our park that the students can divide between. 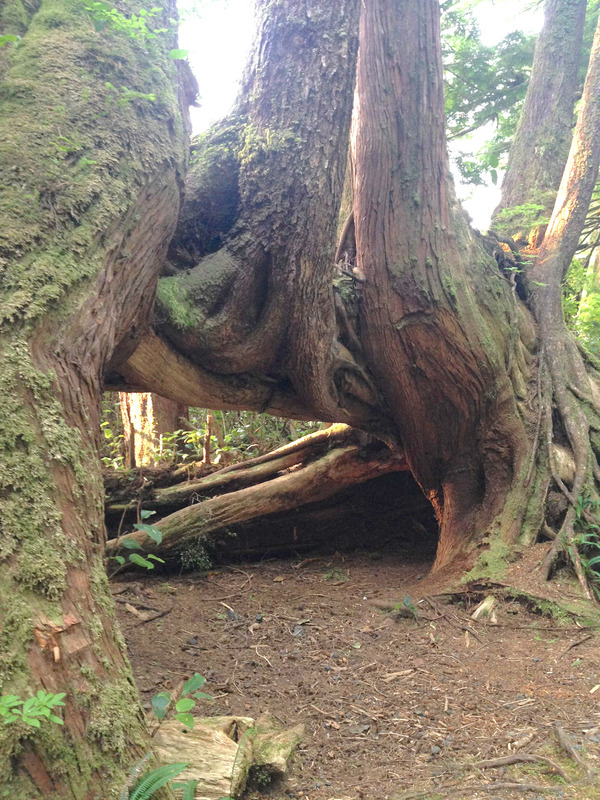 Students draw the nurse log, and the large trees growing out of it. They should shade in the nurse log (to highlight how much is consumed by the new trees). 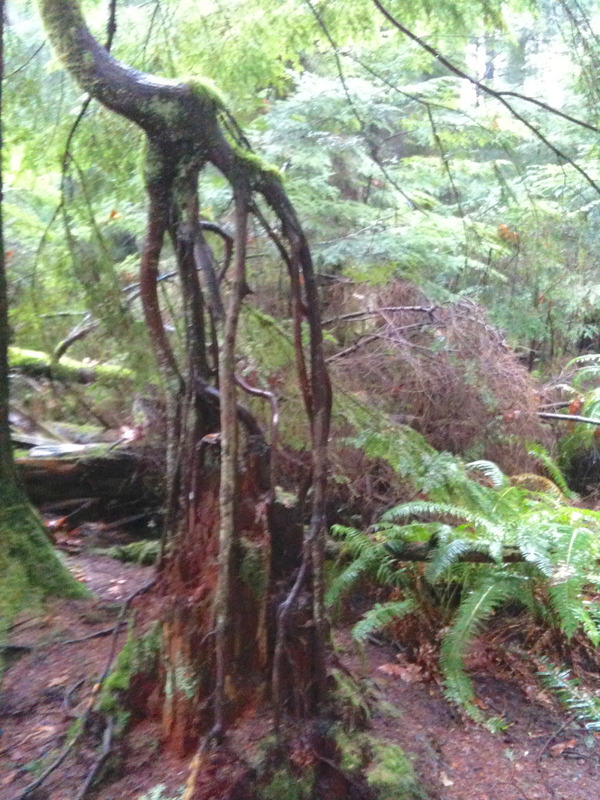 Then draw where three or more living things (or evidence of living things) are on the nurse log (e.g. large trees (hemlock and douglas fir), huckleberry, sword fern, lichen, spider webs, bird poop, bushes (huckleberry), lichen, fungus, insects, holes made by insects, birds). Group discussion of what everyone found. Smell the log to find one more living thing: the fungus growing through the log. Students write out the names of the living things found on the nurse log, to show who eats who, with the nurse log at the bottom of the food chain. (e.g. 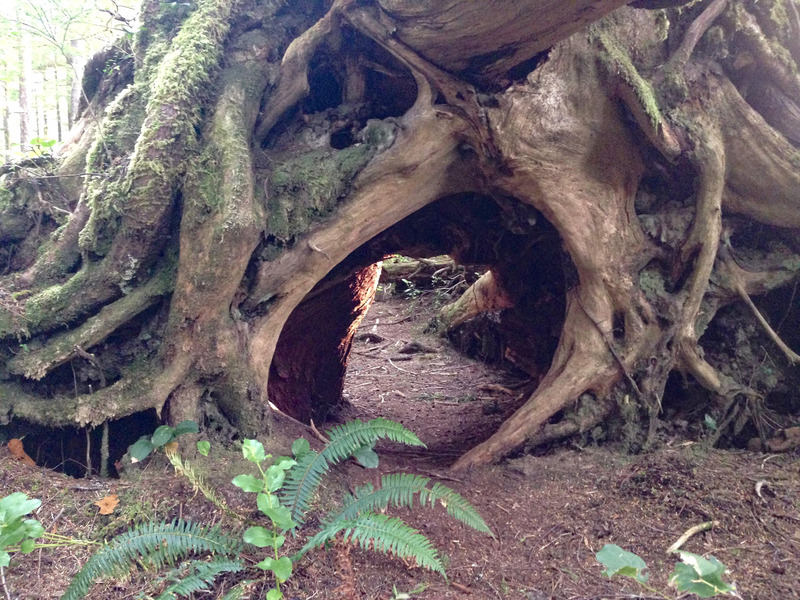 nurse log eaten by insects, plants, fungi and lichen; insects eaten by spiders and birds; spiders eaten by birds). Read “A log’s Life” (Pfeffer, Wendy. 1997. A Log’s Life. Simon and Schuster Publishing). Note this book is about a deciduous tree, so is not directly related to the cedar nurse logs we find in Vancouver. Students can add other animals to their food web that we did not see, but are living in there.